When it comes to living comfortably in your home, you are definitely going to need a good air conditioner in this part of the country. Things are far too hot and humid to put up with the subpar cooling performance of, say, a little room air conditioner. You’ll also need a heating system that you can count on to get you throughout those chillier nights of the year. If you think that this is where your home comfort solutions should stop, though, think again. Yes, maintaining comfortable temperatures is obviously very important. However, so too is maintaining great indoor air quality in your home. That can be tougher than it sounds, since there are so many influencing factors when it comes to your indoor air quality in Pasco County, FL. 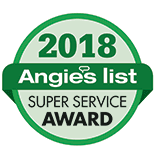 The good news is that our indoor air quality specialists here at Bayonet Plumbing, Heating & Air Conditioning have the products and services that they need in order to guarantee that your indoor air quality in your home is as high as can be. Simply give us a call to learn more, or to schedule indoor air quality services in Pasco County, FL and the surrounding area. Bayonet's service tech was the best technician that has ever been to this house. Okay, so poor indoor air quality can negatively affect your comfort and your health. But how is one supposed to recognize these problems once they’ve developed? There are a number of warning signs that could indicate low indoor air quality in your home. Keep an eye out for any of the following symptoms. Increase in levels of airborne pollutants floating around in the house. Increasingly dusty surfaces, despite routine cleaning. Aggravated allergy and/or asthma symptoms. Frequent need for changing HVAC system air filters. The first line of defense against issues with low indoor air quality is a good whole–house air filtration system. Sometimes, though, you’re going to need a system that takes a more active approach to cleaning your air. That is why you may choose to use an electronic air cleaner. These devices draw pollutants into an ionization chamber, where they are given an electric charge. Oppositely charged collector plates trap the pollutants, and are simply removed and cleaned by the homeowner as needed. Another option to consider is a UV germicidal light system. These UV air purifiers are great for supplementing air cleaners, but they are not a replacement for those systems. UV germicidal light air cleaners do not remove airborne pollutants from the air. They target living biological pollutants, like bacteria, viruses, and mold spores. The UV light that the cleaner emits destroys these pollutants and renders them incapable of reproducing. One of the major culprits of low indoor air quality is actually the ductwork that forced–air HVAC systems use to distribute conditioned air throughout the house. If your air ducts are leaking or are very dirty within, then scheduling professional duct services with our team is the way to go. We offer a number of different air duct services that target the most common problems homeowners experience with their ductwork. These include the following. Duct cleaning: Sure, you are not going to see the interior surfaces of your ductwork. That doesn’t mean that they shouldn’t be kept clean, though. Schedule duct cleaning in Pasco County, FL with us so that we can remove contaminants from your ductwork—before they contaminate your air. Duct sealing: If your air ducts are leaking, then it is not just conditioned air escaping that you have to worry about. It is also pollutants making their way into the system through those leaks! We can effectively seal your ductwork to prevent this from happening. Duct repair: Sometimes, damaged air ducts are going to require a little more than sealing. Whether this means fixing connections, or removing and replacing segments of ductwork in your home, you can count on our IAQ professionals to do the job right and to get your ductwork back in prime working condition. Do not put up with subpar indoor air quality in your home for a moment longer. Contact us today to discuss your concerns. Our team wants you to enjoy truly exceptional indoor air quality in Pasco County, FL. Contact us today to request an estimate on indoor air quality solutions in Pasco County, FL and the surrounding area.